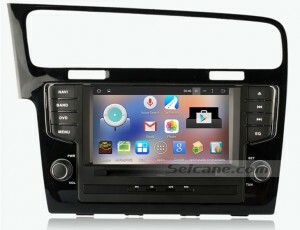 Here shows you a great 2013 New Golf 7 car stereo from Seicane which is equipped with a lot of features including accurate 3D navigation system, Bluetooth, DVD player, tuner radio, RDS, TV, USB and SD card connection, etc. With such an excellent car stereo in your car, you are sure to enjoy your whole journey while you are driving. 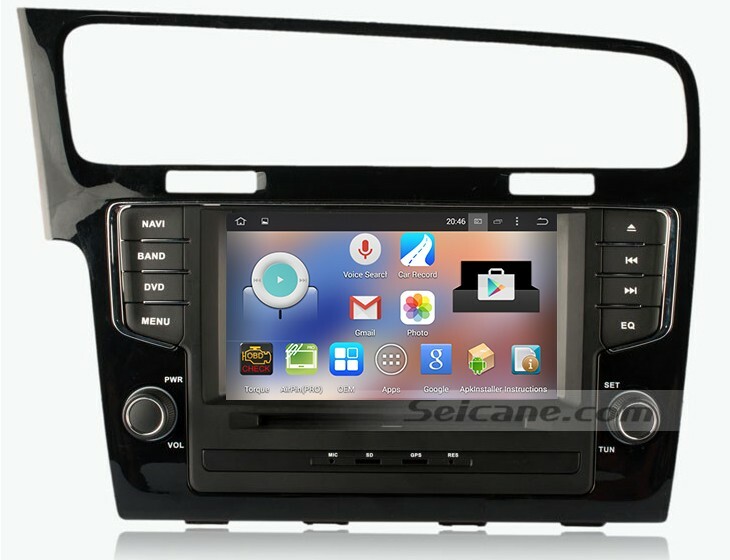 Some car stereos with wince system can’t support 3G internet or WIFI in the past, while this 2013 New Golf 7 car stereo with Android system enables you search online via 3G internet and WIFI. In fact, more and more car stereos with Wince system can allow you to get access to network. If it’s the first time for you to use a modern car stereo, you may be confused at how to surf the internet with it. If you encounter that problem, you can refer to this passage which mainly introduces the way on how to surf the internet with this 2013 New Golf 7 car stereo. If you want to get connection with the network with a car stereo, you need to be sure that your car stereo can support 3G network or WIFI. To search online with this 2013 New Golf 7 car stereo, you go to the setting interface in the first place. Then find the network item, input the WIFI information, which is similar you use WIFI to search the internet with your mobile phone. If the unit doesn’t remind you of the connection signal, you can go to the setting interface to set it. After you input the WIFI information, you can go back to the main menu and open the IE browser. You can input any website address you like to surf the internet. You are able to grasp the latest news, watch online video, listen to online music, download thousands of apps like Twitter, Gmail, MSN, facebook, Skype, etc. If you want to see the information more clearly, you can also amplifier the screen with your fingers, which is just the same as you do it on your mobile phone. The large 8 inch HD 1024*600 touch screen of this New Golf 7 car stereo is amazing for easy operation and clear viewing. You are allowed to make phone calls with your hands on the steering wheel control to ensure your security due to the Bluetooth functionality. Besides, you can enjoy Bluetooth music and play songs from other portable devices. The GPS navigation system can provide you with the lane assist, 3D street view, landmark display, turn-by-turn direction, voice prompts and so on, which is helpful for you to find the best way to a lot of locations. Just let this all-in-one New Golf 7 car stereo take you to your destination with ease!